A few weeks ago I spent a week with my children who live in Illinois. Everyday we did something fun. The weather was unseasonably warm, so I was able to get by most days with just a sweater. This is an outfit I wore shopping in the quaint historic town of Wheaton. 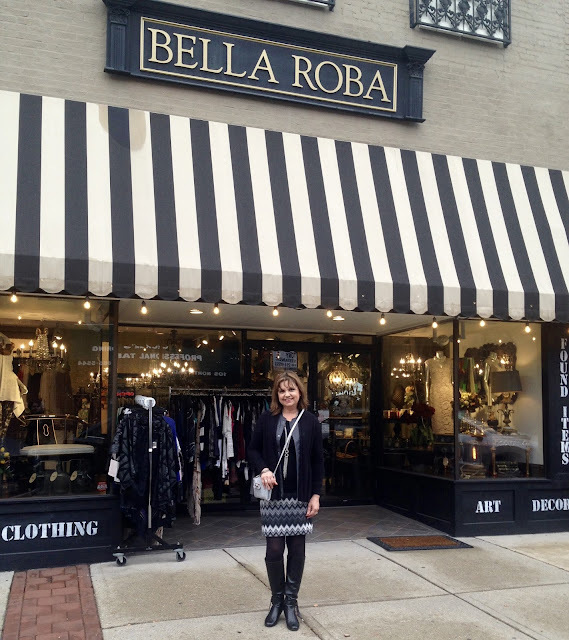 Of course, I had to stop in front of this store and do some fashion photos...for how often does one's outfit match the store? This is the cutest shop too. It is decorated to profession in the cutest Parisian style inside and out. I meant to wear this outfit with only the vest on, but it ended up being much cooler than expected to I had to wear a cardigan over the top. Not ideal, but when you're traveling and the weather changes, you have to work with what you have. That is always why I dress in layers while traveling. Cardigans and scarves are my lifesavers. Everything I have on is old. I've shown you this skirt before HERE and HERE, and the vest HERE. For this look I wore my skirt with just a basic long tee from Target and I added the vest, tights, and boots for extra warmth. My black cardigan is from Zara, and I also wore it on last Friday's fashion post where I was also shopping/traveling. Cardigans, especially neutral ones, are so perfect for traveling because they go with so many different outfits plus they can easily be put on and removed. I had to chuckle when I researched when I wore this skirt last because both other times I wore it I had the same boots on and I also wore the same necklace once. Thank you! Wow! I didn't know you live in Wheaton. Lucky you! Such an amazing town. That's a great outfit! I love the skirt! I bought a similar one recently, but it's only black and white; I like the grey in yours! Sounds like you had a really nice time visiting your children! Thanks Andrea! I've had this skirt for a few years now. It's one of the few winter skirts I own that gets a lot of wear. Probably because it's knit and has an elastic waist so it's comfy and warm. Pretty skirt!!! 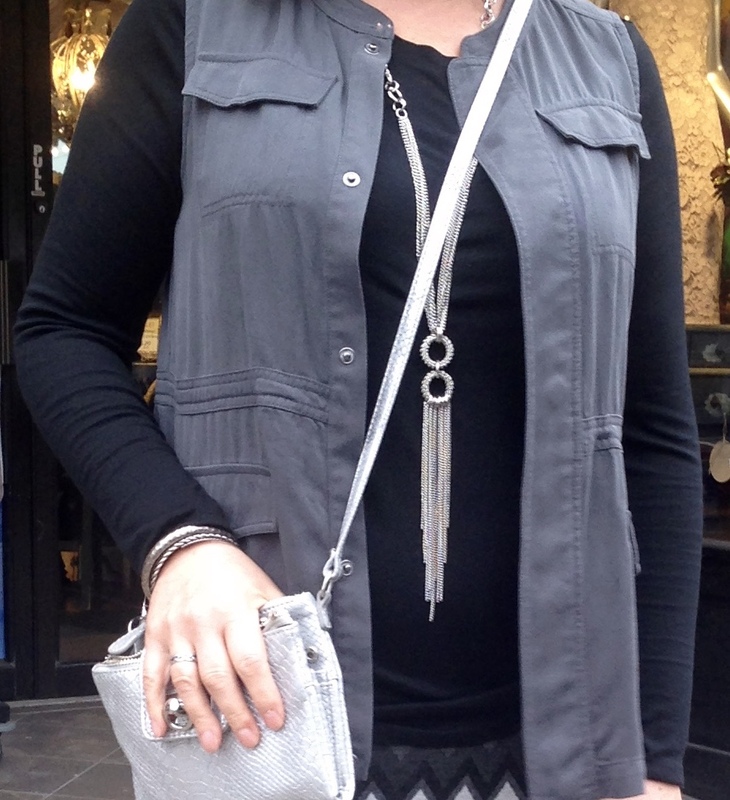 Loving that vest layered over your outfit and that pretty necklace! Thanks for sharing this fabulous outfit with us at On Mondays We Link-Up :). Such a cute outfit for a day of shopping! Thank you for linking up with us this week! Thanks you, and you're welcome! Lovely, Amy. Love the skirt. And the vest. I'm fascinated with what you stylish American ladies do with what you call vests, we have several words for them other than vest. Spookily, I attempted to wear one recently and it didn't quite work out, so I've queued up a piece about it - what else could I do?!! Thank you. I'm always amazed that you have different words for the same items of clothing. Sounds like you had such a fun time with your kiddos! 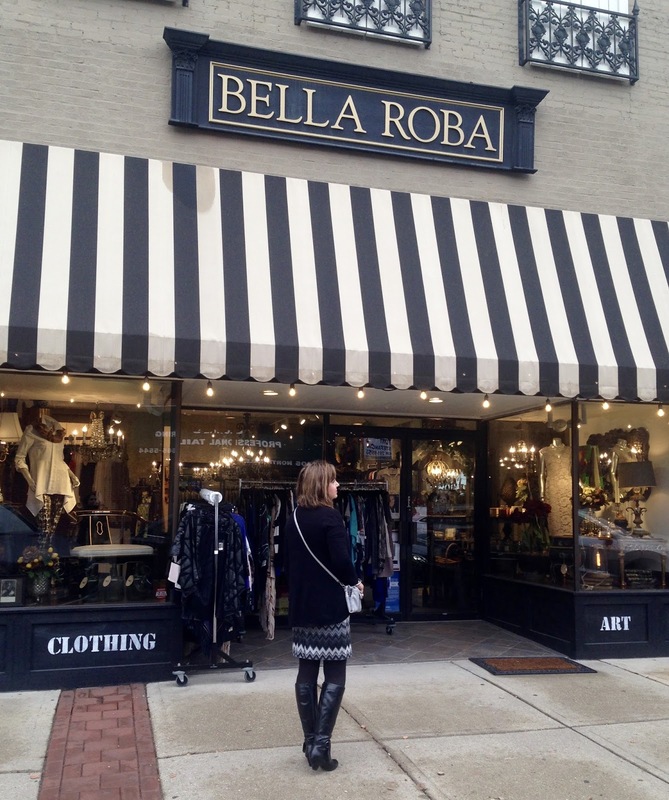 Your outfit is perfect for a fun day of shopping! Thanks Ruth! It was a fun week! I've never been to Wheaton! That store looks so cute! I love your skirt and the layering! Oh it's the cutest town, you will have to visit someday!